AFD comes from Automatic File Distributor and provides a framework for very flexible, non-stop, log and debug-able delivery of an arbitrary amount of files to multiple recipients as expressed in URLs (currently mailing and ftp supported with the mailto://user@domain and ftp://user:password@host URL conventions). AFD stands for Automatic File Distributor. The AFD can send/retrieve any type of file, regardless of contents and the name of the file. Only the files are being distributed, no other additional information is send with the file. The AFD has a very sophisticated and compact X11 interface to monitor and control the distribution of files (afd_ctrl). It has the ability to do extensive logging of all activities, even down to tracing each individual FTP/SMTP command. Files can be send to places where no AFD is installed. There can be more than one process distributing files to a single host. This has the advantage that when a large file is currently being distributed, other files don't have to wait until the large file is done. Where net capacity is limited, it is possible to distribute files with priority. If the transfer gets interrupted, AFD can append files. So data that has already been transmitted will not be send again. It is possible to setup a whole network of AFD's that can be monitored and controlled through a single interface (mon_ctrl). The AFD requires X11R5 and Motif 1.2.x (or higher). This release implements fetching files via SFTP. sendfile() support has been added for Linux only. A new email option 'file name is target' has been added. 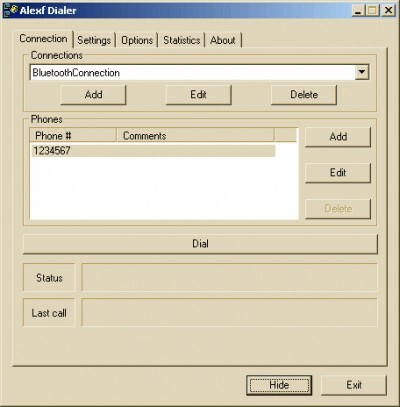 From the dialog dir_ctrl, it is now possible to view DIR_CONFIG entries for each directory monitored by AFD. The error where setting ASCII mode for FTP had no effect has been fixed. LMon is a package for near real-time monitoring of logs, sending email alerts upon known (rule hits) or unknown data (rule misses).